Posted by Steve Morgret on March 1st, 2013 23:55pm in Rainbow Vacuum Cleaners. Last Updated on October 6th, 2018 18:49pm. If you’ve ever had to deal with a full vacuum bag, then you know how much of a mess they can make. The bags tend to rip, tear, and pop, spilling dust and debris everywhere. When the bags tear like this, it leaves an even bigger mess behind that must be cleaned up. This can also aggravate allergies and asthma, since the dust is released back into the air. Stop accepting this type of frustration and find a better solution that not only doesn’t tear or rip when being handled, but can also trap dust and allergens better than bags do. The easiest solution to a problem like dusty and torn bags is to look for bagless vacuum cleaners with washable filters since they are easier to change, and typically less messy than bags. Switching to this style of sweeper can also save time and money, since there is no need to purchase new bags or filters every few months, and no need to hunt stores for replacements. After switching to a bagless vacuum cleaner, many are amazed at how much cleaner their homes are. The reason for this is that more dust is pulled from not only the carpets, but the air as well. In order to keep the home as clean as possible, it is important to make sure that the sweeper stays clean as well. The best way to do this is to empty the canister and rinse the filter from time to time. Canisters should be removed from the unit and emptied over the trash can, or into a plastic bag so that the dirt does not end up on the floor again. If there is still residue after emptying it, it can be gently shaken. Another option after emptying it is to give it a rinse in the sink to remove any traces of dust, dander, or other allergens. When rinsing, use only water unless directed otherwise. 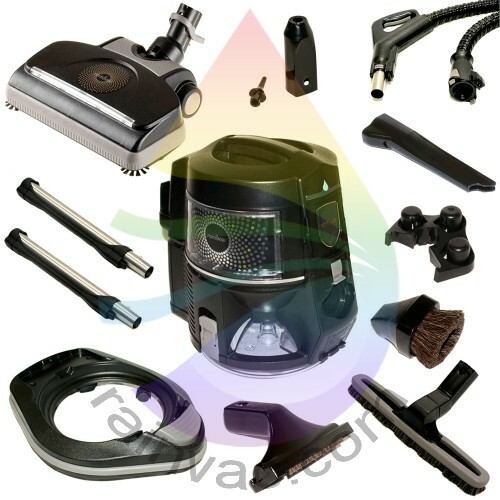 The filter for a bagless canister vacuum can likewise be cleaned by shaking it gently over a trash can or into a plastic bag to remove any heavy build up. Once the bulk of the dust has been shaken loose, it can then be rinsed with water in a sink until it is clean. After rinsing it, be sure to allow it to fully dry before using it in the sweeper. While the filters and canisters are designed to be durable and reusable, they can still become cracked or torn if they are not handled with care when removing them from the unit or while cleaning them. To help avoid this, always handle the parts carefully, and inspect them for signs of damage when cleaning them. If they appear damaged, they should be replaced as soon as possible. With proper care, bagless vacuum cleaners with HEPA filters will last for many years to come, making them a great investment for anyone who wants a clean home.